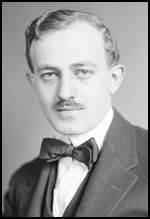 Ben Hecht, the son of Russian–Jewish immigrants, Joseph Hecht and Sarah Swernofsky Hecht, was born in New York City on 28th February, 1894. His parents, who worked in the garment industry, spoke Yiddish in the family home. The family moved to Racine, Wisconsin, in order to run a store. As a child he was a talented violinist. However, he wanted to be a writer and at the age of sixteen he moved to Chicago. He found work as a journalist with the Chicago Journal. He later moved to the Chicago Daily News where he became friends with fellow reporter, Charles MacArthur. While living in the city he became friends with other aspiring writers such as Floyd Dell, Theodore Dreiser, Sherwood Anderson, Carl Sandburg and Maxwell Bodenheim. On 7th November, 1918, Kurt Eisner, leader of the Independent Socialist Party, declared Bavaria a Socialist Republic. Two days later, Emil Eichhorn was appointed head of the Police Department in Berlin. On 4th January, 1919, Friedrich Ebert, Germany's new chancellor, ordered the removal of Eichhorn. When this order was rejected, Ebert called in the German Army and the Freikorps to bring an end to the rebellion. 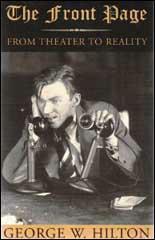 Hecht was sent to Germany to report on what had become known as the German Revolution. This included the assassination of Kurt Eisner on 21st February, 1919, when he was assassinated in Munich by Anton Graf von Arco auf Valley. It is claimed that before he killed the leader of the ISP he said: "Eisner is a Bolshevist, a Jew; he isn't German, he doesn't feel German, he subverts all patriotic thoughts and feelings. He is a traitor to this land." Karl Liebknecht and Rosa Luxemburg, leaders of the J were also murdered by the authorities. Hecht's first novel, Erik Dorn (1921) was based on events he observed in Germany in 1919. In 1921, Hecht started a Chicago Daily News column called, One Thousand and One Afternoons in Chicago . His editor, Henry Justin Smith, later argued that it was a new development in journalism "in this urban life there dwelt the stuff of literature, not hidden in remote places, either, but walking the downtown streets, peering from the windows of sky scrapers, sunning itself in parks and boulevards. He (Hecht) was going to be its interpreter. His was to be the lens throwing city life into new colors, his the microscope revealing its contortions in life and death." Hecht also published short-stories in magazines such as The Little Review and The Smart Set. In 1926 his friend, Charles MacArthur had joined forces with Edward Sheldon, to write the play, Lulu Belle. The play was very controversial as it featured a prostitute played by Lenore Ulric, who bewitched powerful men in New Orleans. The play was a great success and MacArthur suggested to Hecht that they wrote a play together. The play was produced by Jed Harris. However, he insisted that the play needed editing and gave the job to George S. Kaufman. As Howard Teichmann, the author of George S. Kaufman: An Intimate Portrait (1972), has pointed out: "The best cutter and the fastest rewriter in the theatre was George Kaufman. He took care of the gangsters. Futhermore, Hecht and MacArthur were newspapermen and so was Kaufman; the three of them spoke a common language. He finally joked and cajoled them into writing a better, tighter, funnier script." Kaufman was also recruited as director of the play. Hecht now moved to Hollywood and provided the stories or wrote the screenplays for The Unholy Night (1929), Roadhouse Nights (1930), The Front Page (1930), The Unholy Garden (1931), Scarface (1932), Turn Back the Clock (1933), Design for Living (1933), Viva Villa! (1934), Upperworld (1934), Crime Without Passion (1934), Once in a Blue Moon (1935), Barbary Coast (1935), The Scoundrel (1935), Soak the Rich (1936), Nothing Sacred (1937), The Goldwyn Follies (1938), Gunga Din (1939), Wuthering Heights (1939), It's a Wonderful World (1939), His Girl Friday (1940), Angels Over Broadway (1940), Comrade X (1940), Lydia (1941), The Black Swan (1941), China Girl (1942), Spellbound (1945), Notorious (1946), Whirlpool (1949), The Indian Fighter (1955), Miracle in the Rain (1956) and A Farewell to Arms (1957). 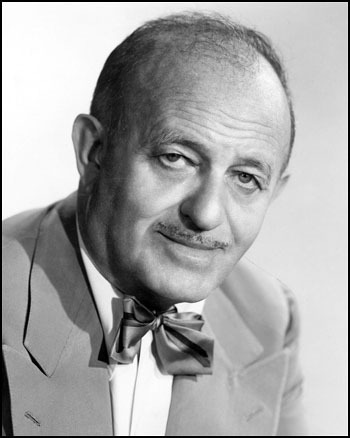 Ben Hecht died on 18th April, 1964.